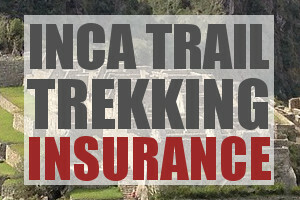 Inca Trail Toilets - What to Expect When You Are Bursting! 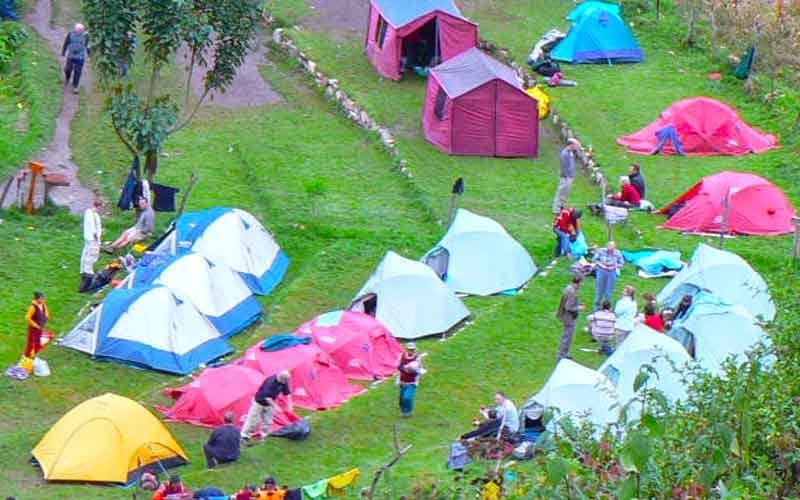 If you like your modern plumbing and your the sort of person that needs to be prepared for everything, finding out what the toilet situation is like on the Inca Trail is vital. It is not a well documented topic and a few of our readers always wish to know the answer before they depart on their trek. The first thing to note is that flushing toilet paper is not allowed anywhere in Peru, let alone on the Inca Trail. Instead of flushing, all used toilet paper is placed in a bin near or next to the toilet. It sounds strange to the Western mind, but in Peru this is just how it’s done. This does of course mean that you need to prepare yourself for a fairly strong smell when entering a toilet in Peru! Most toilets along the trail will not have toilet paper provided. It’s therefore critical to bring your own! There are toilet blocks located intermittently along the Inca Trail. The blocks are usually hidden from the trail. These toilet blocks are not frequent though and, if you can’t hold it, the only other option will be to go behind a bush. Most camp sites have some form of toilet facility. Depending on the route you take, the toilet you use may be a part of a local house near the camp site. Your guide will usually stop for lunch near a toilet block. Bear in mind that many of the toilet blocks require a small fee to use – usually 1 sol. So make sure you bring some change. There are often toilet attendants who will give you a napkin size piece of toilet paper to use – another reason to bring your own! This is where the bad news begins. Inca Trail toilets are not the most hygienic, clean or private affairs. You’ll be lucky if your toilet has a lock. On the first day the toilets are usually fairly decent and clean. However, as you venture further along the trail the quality rapidly decreases. By the second day you will be using floor toilets in which you squat over. The flushing mechanism often floods meaning that toilet waste is found on the floor of many Inca Trail toilets. Be sure to wear your hiking boots when going to the toilet. There is often no light and you’ll want to make sure you bring a headlamp for those night time toilet visits. We have even seen toilet blocks with no bin or container in which to place used toilet paper. Piles of used toilet paper inevitably builds up in a pile in the corner of the toilet. This does not make for a pleasant experience! You will also be lucky to get a sink to wash your hands. Luckier still to get soap. Therefore it is highly recommended that you bring your own hand sanitizer. Most camp sites will have a tap where you can wash your hands. Personally, I believe the best option on the Inca Trail is to hire a tour company that provides a portable toilet all the way up. These are known as ‘toilet tents’. 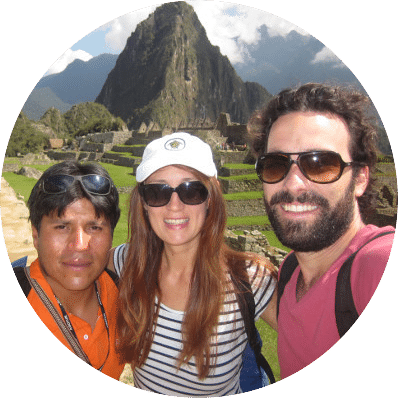 Although not as common, this is probably one of the most important things I would recommend when deciding on what tour operator to use. You’ll probably have to book with a western operator and it may cost slightly more, but it’s definitely worth it! The toilet tent is carried up with you by porters. They are clean and only used by your group. You’ll be able to sit on a toilet drum within the privacy of a tent, and if there are any issues, your operator will sort them out immediately. Click here for our recommended operator service. If you have any further questions or queries regarding Inca Trail toilets then please just leave a note below and we’ll get back to you as soon as possible. My husband and are are going to visit our daughter who is travelling in s America. I am 66 years of age, my husband 60, we are both fairly fit, not over weight, go to the gym etc. But I am worried the trail will be too much for my fitness? Hi Elena, as long as you can walk 5-7 hours a day for 3 days on end, you should be fine. Just make sure you build in some acclimatisation time in the Sacred Valley or Cuzco, before you hit the Inca Trail. All the best!